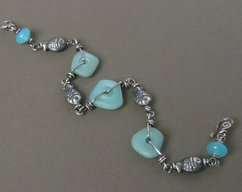 This simple funky aged sterling silver bracelet features lampwork beads, sterling silver beads and AAA grade 9mm aqua blue chalcedony faceted coin briolette, freshwater pearl, sterling silver spiral charm, and a simple sterling silver figure eight hook and eye closure. 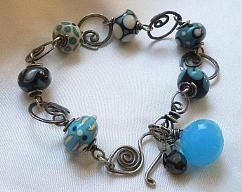 I began this bracelet by wire wrapping six sterling silver beads together, three square, three liquid silver. Six wire wrapped poka-dot lampwork beads complete the bracelet, with a simple figure eight hook and eye style clasp closure. 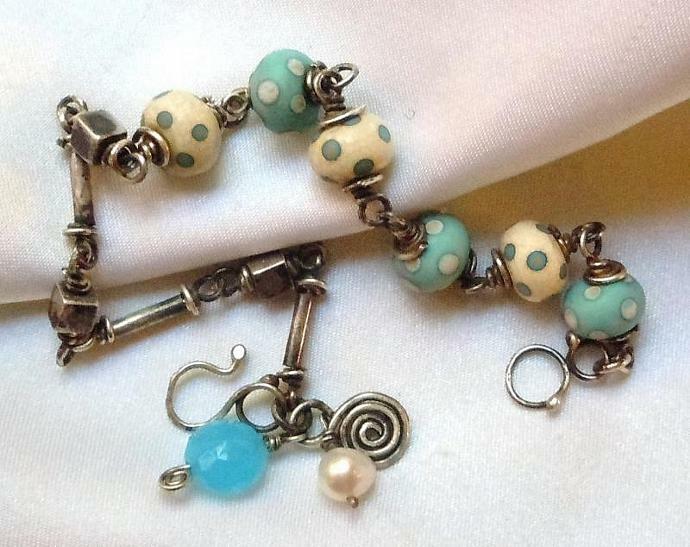 Dangling from the sterling silver end is a blue chalcedony coin, freshwater pearl and spiral charm. 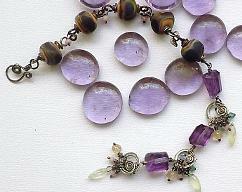 The bracelet measures cm or inches in length. All metal is ages sterling silver. 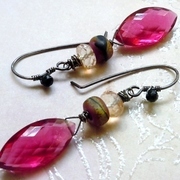 All gemstones are AAA grade quality.